Coshocton - Barbara C. Haines, 83, passed away on Monday April 8, 2019 at Signature Healthcare. She was born in Roscoe on September 14, 1935. She was the daughter of Dennis and Etta (Crater) McCleary. Barbara was a life long member of the Coshocton Central Christian Church, and also belonged to the Pythian Sisters. She was a good Christian, and a great grandmother who loved her grandchildren, as well as her dog “Dolly”. 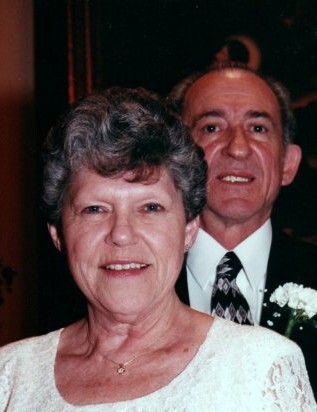 Barbara is survived by her son, Jim Richard of Coshocton, and daughter, Johna Richard of Mt. Perry, her grandchildren, Terra (Jeff) Grewell, John (Allison) Richard, Cortney (Derrick) Wilkin, James M. Richard, Joseph (Abbey) Richard, and Colleen (Justin) Burrier, 12 great grandchildren, and her sister, Marilyn Barrett of Coshocton. She was preceded in death by three brothers, Fred, Phil, and Jack, and her husband, Fred D. Haines. Calling hours will be from 6-8 p.m. Wednesday at the Fischer Funeral Home in Warsaw, where a funeral service will be held on Thursday, April 11, 2019 at 11:00 a.m. with Pastor Steve Bentley officiating. Burial will follow in South Lawn Cemetery in Coshocton.